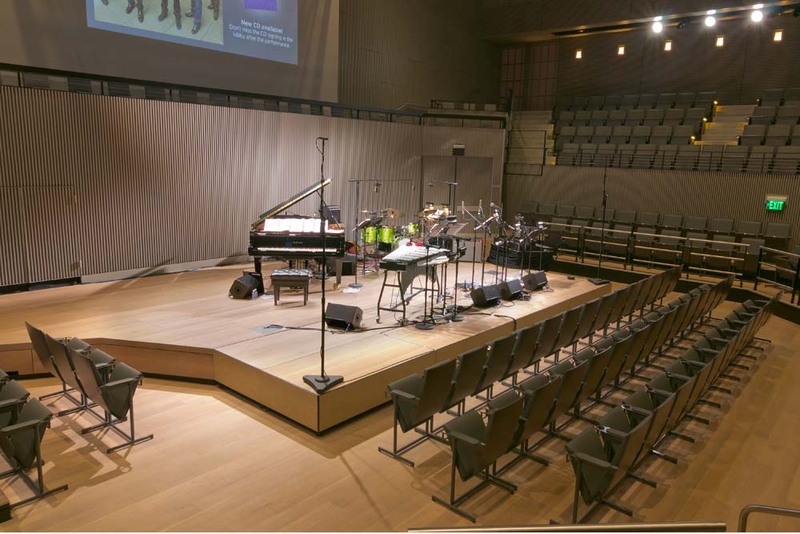 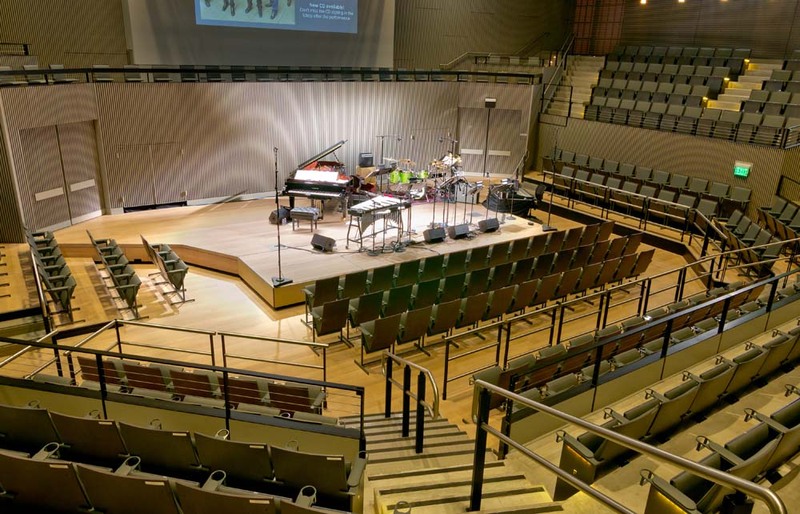 Wanting the flexibility to expand their stage footprint in a way that did not compromise the acoustics of their room, the San Francisco Jazz Center opted to use StageRight’s heavy duty Z-800HD stage extension. 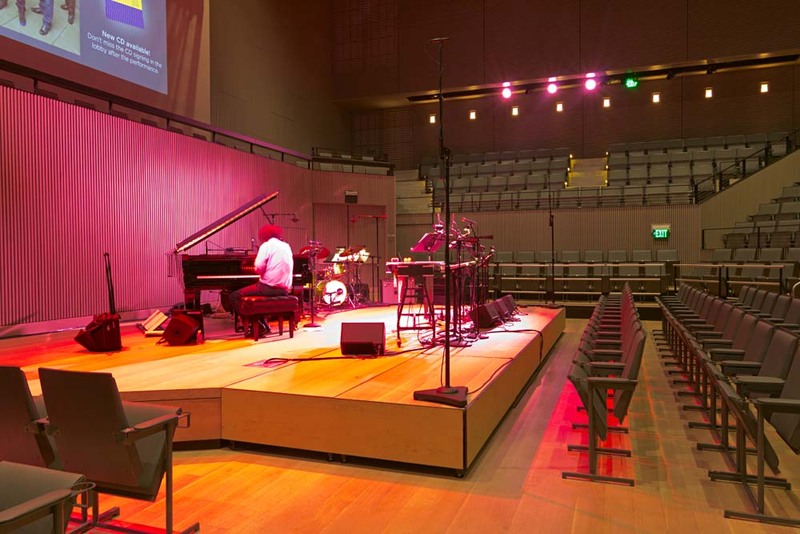 The combination of matching Tongue and Groove flooring over our solid, honeycomb core deck and rock solid Z-800HD supports provided the perfect acoustic match to their built in stage. 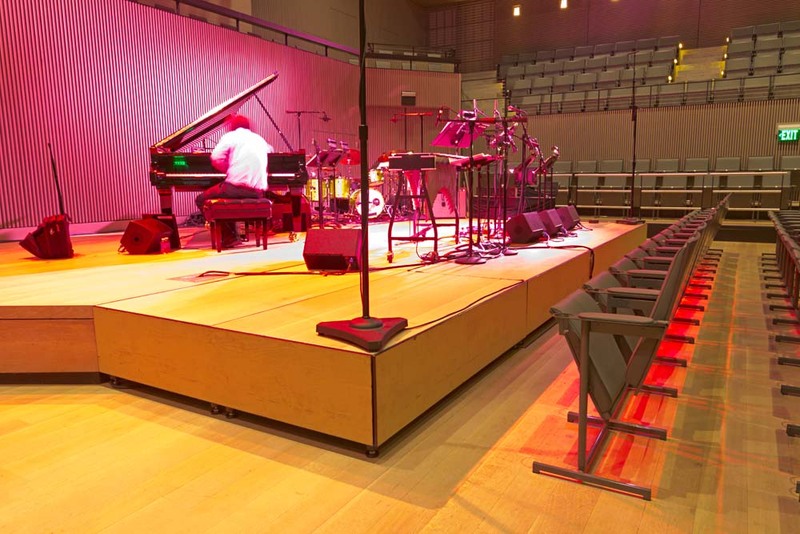 Custom, wood veneer hardclosure panels, as well as box tread stairs retrofitted with a matching tongue & groove surface further enhanced the ‘built in’ feel of the StageRight’s platform.